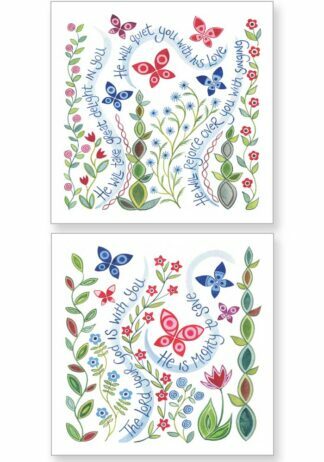 A pack of 10 notecards (5 x 2 designs). The size of each notecard is 4.3 x 4.3 inches. 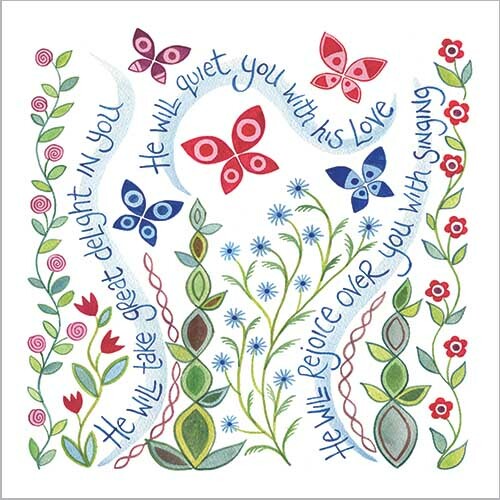 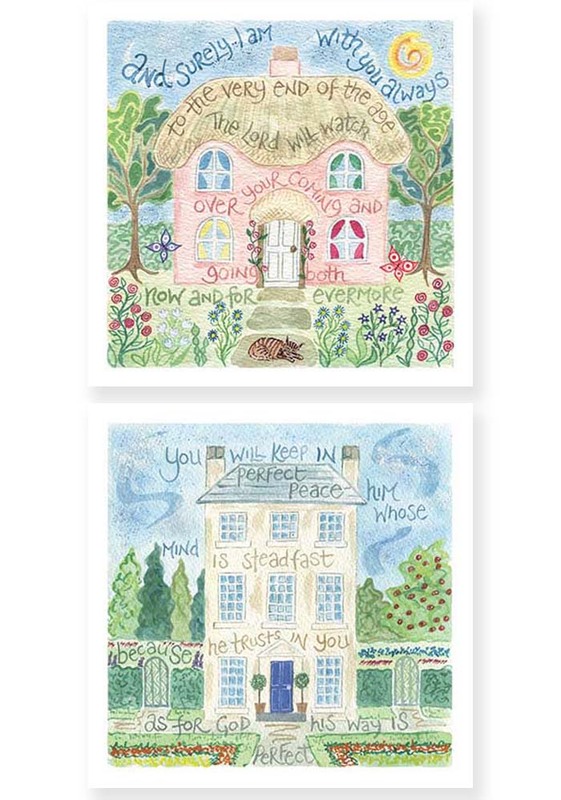 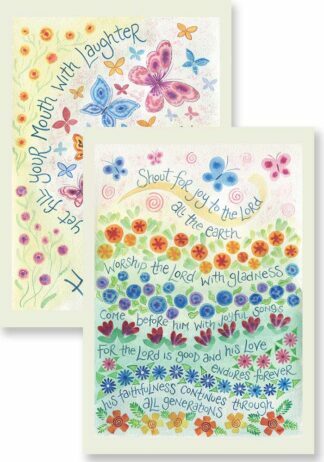 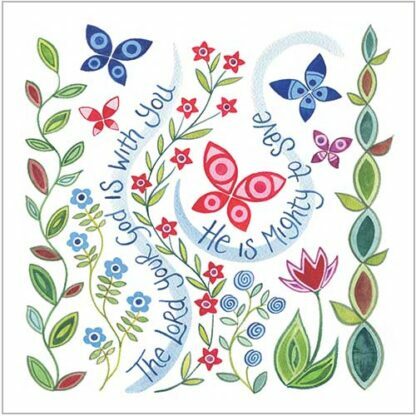 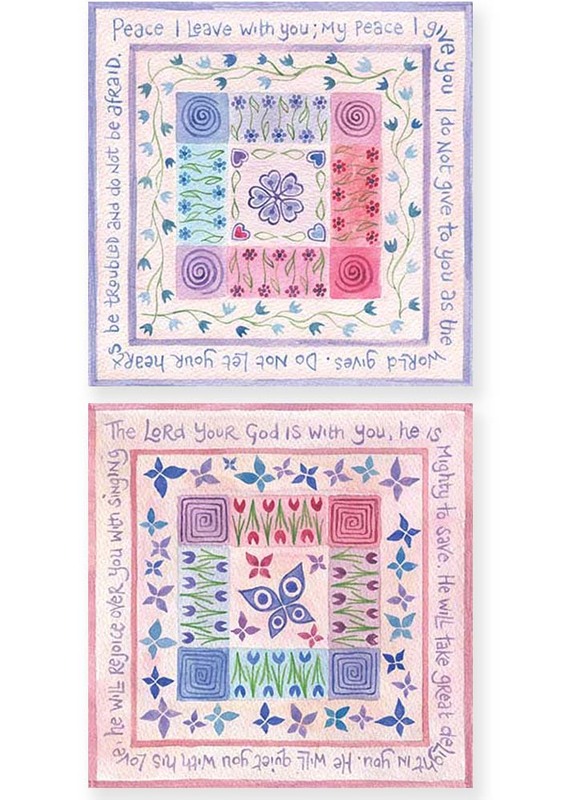 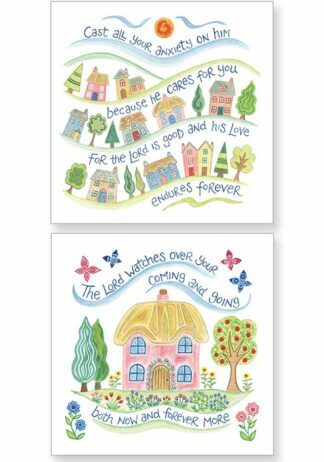 The 2 designs in this pack are – “Delight” and “God is With You”. Each notecard design comes with an envelope and is blank inside.